Every Friday Palestinians demanding an end to their dispossession and forced isolation have faced Israel's military, for the most peaceably, and suffered mightily for it. And though hundreds have been killed, shot down bare-handed by soldiers with sniper rifles, and thousands more gassed and wounded in other ways, the "international community" of nations has largely remained silent. The run-up to Israel's recent elections occasioned harder lines on the "Palestine Problem" in Gaza by politicians on all sides, while one prominent among them even promised, should he be elected, he would too annex the settlements, bringing a Gaza of sorts to the West Bank. Dr. Susan Power is Head of the Legal Research and Advocacy Department at Al-Haq, a Palestinian human rights NGO based in Ramallah. Established in 1979, Al-Haq's mission is to protect human rights and promote the rule of law in the Occupied Territories both individually and collectively, while seeking to end breaches of international law "irrespective of the identity of the perpetrator." And; April 11th, a date that will for many live in infamy, Ecuador's president, Lenin Moreno delivered from its embassy in London into the hands of the British government, political asylee and WikiLeaks publisher, Julian Assange. Miles of newsprint, and terabytes of misinformation has been produced regarding Assange and the nature of the case manufactured against him, but at its heart are some basic facts vital for both his just treatment and the future fairness of the planet the rest of us will inhabit. Dr. Maximilian C. Forte is a scholar, educator, author, and creator of the Zero Anthropology Project, a "Canadian anthropological approach to the study of empire and the human condition" and its website, ZeroAnthropology.net. Forte also publishes The New Imperialism series, which features research by students in his advanced seminar in the field, and his own research. Max is too a past finalist for the Quebec Writers Federation Mavis Gallant Prize for Nonfiction, and his book titles include: 'Ruins of Absence, Presence of Caribs: (Post)Colonial Representations of Aboriginality in Trinidad and Tobago', and 'Slouching Towards Sirte: NATO’s War on Libya and Africa'. And; Victoria-based activist and long-time Gorilla Radio contributor, Janine Bandcroft will be here at the bottom of the hour with the Left Coast Events Bulletin of some of the good things to be gotten up to in and around our town in the coming week. But first, Susan Power and Palestine's prospects in an extended Netanyahu era. 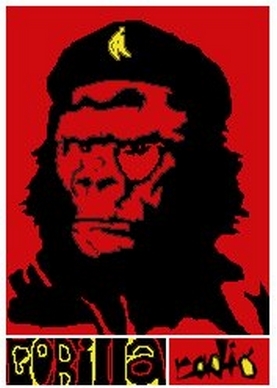 Ed Lehman is a Canadian Communist,and a comrade of mine. I don’t say such things often or lightly, especially about Westerners. But he became my comrade, and we struggled shoulder to shoulder, for five days. Not in the South American wilderness, not in Afghanistan or Syria, but in Regina, a small Canadian city, the capital of the province of Saskatchewan. I admit, before being invited there, I knew close to nothing about Regina. I did not even know how to pronounce it, correctly. 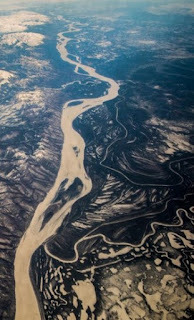 But one day, an email arrived, and I was invited to become a keynote speaker at the Peace Conference there – in Regina. Spontaneously, I accepted. I usually do not speak at peace conferences. I have always believed that oppressed and colonized countries have to fight for their independence and freedom, and that peace as it is propagated in the West is something that basically upholds the status quo. It is, as I mentioned in Canada, “when the bombs are not falling on Paris or Toronto”. It is when the wretched of the earth are dying quietly and obediently, far away from camera lenses, in their looted countries and continents. Actually, many peace movements in the West annoy me to the extreme. Their lack of sensitivity, as well as ignorance, are maddening.The desire of their members to ‘do good’ and ‘feel good’, is often self-serving, and has absolutely nothing to do with the struggle for justice in dozens of colonized, and plundered ‘client’ states. But there was something very different in what I detected while reading the invitation from Regina. The organizers were actually talking about justice, not just about stopping conflict. They were full-heartedly defending Venezuela. 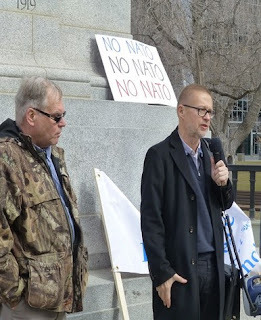 And their main goal was to dismantle NATO, or ‘at least’ to convince Canadians that their country should not participate in the bloodstained ‘adventures’ which are ruining the lives of hundreds of millions of people all over the world. I felt that I was being approached by the real and solid Left. And therefore, without much hesitation, I accepted. Twilight for House of Sauds? Shortly after the 21st century began, one of Saudi Arabia's key customers made its first steps toward becoming one of the Kingdom's main competitors on the global oil market: the United States began fracking for oil in the mid-2000s. By the end of the 2010s, the U.S. is now the world's biggest crude oil producer, having surpassed Russia and Saudi Arabia to claim the crown. 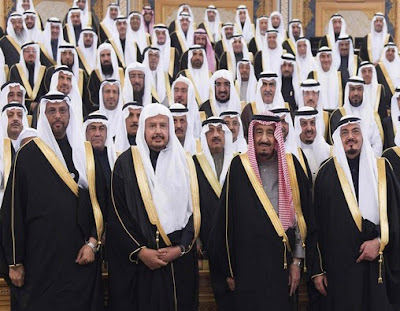 Sure, Saudi Arabia is one of the most important factors in global crude trade and oil market participants are lapping up every word and hint from the top oil officials in the Kingdom. But as the U.S. has started to rely on fewer imported barrels, Saudi Arabia’s power to sway the market has diminished. Another large Saudi customer, China, now has more leverage over Saudi Arabia’s oil flows, Dafna Maor, a columnist for Israeli newspaper Haaretz, writes. Since 30 March 2019, Palestinians have gathered every Friday to protest and participate in the Great Return March. In response, the Israeli Occupying Forces (IOF) has systematically and forcefully suppressed the peaceful protests along the Gaza fence with unnecessary and excessive force, including lethal force. To date, 204 Palestinians, including 46 children, seven persons with disability, three paramedics and two journalists have been killed as a result of Israel’s disproportionate use of force, firing live ammunition, rubber-coated metal bullets and tear gas canisters indiscriminately at protesters. The information provided below is based on Al-Haq’s field documentation throughout the Great Return March protests between the one-year mark of the Great Return March, on 30 March, and 19 April 2019. This is an excerpt from the upcoming mega-article “Debunking All The Assange Smears”, which is still under construction. I’m putting together a comprehensive list of all the major smears and disinfo that’s being circulated about Julian Assange, and refuting those arguments with the help of information brought to me by my readers and social media followers. Keep a lookout for the full article; it should be out soon, and it’s gonna be good. Not even the US government alleges that WikiLeaks knowingly coordinated with the Kremlin in the 2016 publication of Democratic Party emails; the Robert Mueller Special Counsel alleged only that Guccifer 2.0 was the source of those emails and that Guccifer 2.0 was a persona covertly operated by Russian conspirators. 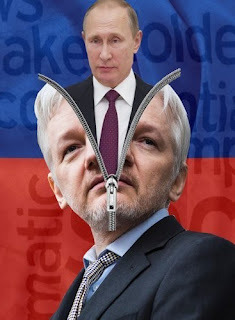 The narrative that Assange worked for or knowingly conspired with the Russian government is a hallucination of the demented Russia hysteria which has infected all corners of mainstream political discourse. There is no evidence for it whatsoever, and anyone making this claim should be corrected and dismissed. But we don’t even need to concede that much. 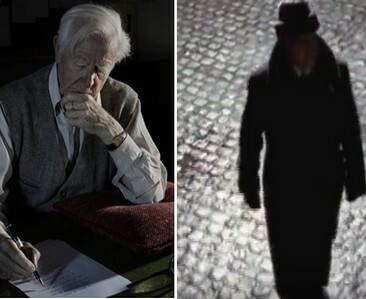 With the surrendering of Julian Assange by Ecuador to London's Metropolitan police, the WikiLeaks publisher's long embassy asylum ends, and a new phase of his persecution begins. But is that a bad thing? Assange is in poor health, and his erstwhile "protectors" proved unable, or unwilling, to provide proper medical attention. The British prison system should be capable of better. John Helmer is a journalist, former academic, government policy advisor, author, broadcaster and principal behind the news website, Dances with Bears, where his recent article, 'The Julian Assange Case Now Puts the US on Trial in a British Court: Is There a GET-OUT-OF-JAIL Card for Assange?' explores the likely tangled path to justice Julian Assange and his lawyers must now navigate. And; murderous criminality is not the sole purview of the American state; its friends and allies are remorseless killers too. 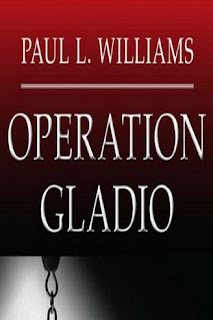 In the 1990's, details of Operation Gladio emerged from the testimony of former Italian prime minister, Giulio Andreotti during a special investigation into the 1980's terrorist bombings initially blamed on that country's infamous Red Brigades. 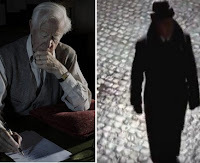 What was revealed next as chronicled in Paul L. Williams' book, Operation Gladio: The Unholy Alliance Between The Vatican, The CIA, and the Mafia, should have provoked outrage fervid enough to tear out root and branch the fascist tendrils permeating Europe, and America's power structures. Should have. Antony C. Black is a long-time freelance essayist devoted to, among other topics, "debunking one aspect or another of US and Western imperialism". His efforts have found purchase in print in the past at the Toronto Star, Hamilton Spectator, and Canadian Dimension Magazine, as well as online at Z Mag, Swans, ICH, and Global Research. Antony's latest, a review of Williams' Operation Gladio, 'Operation Gladio: The Unholy Alliance' I found at Off-Guardian.org. Black is too a former steelworker, psychotherapist, and retired school teacher. Antony C. Black and the "far-right figures in the intelligence, military, government, media, Church and corporate sectors ... [and] motley assortment of unreconstructed WW2 fascists, psychopaths and criminal underworld types" also known as, "Gladio" in the second half. And; Victoria-based activist and long-time Gorilla Radio contributor, Janine Bandcroft will join us at the bottom of the hour with the Left Coast Events Bulletin of some of the good things to be gotten up to in and around our town in the coming week. But first, John Helmer and putting the United States in a British dock, courtesy of Julian Assange. The members of this group turned out to include not only hundreds of far-right figures in the intelligence, military, government, media, Church and corporate sectors, but a motley assortment of unreconstructed WW2 fascists, psychopaths and criminal underworld types to boot. And despite Andreotti’s attempts to airbrush the group as ‘patriots’ it appeared evident to much of the rest of the Italian polity that these seemed rather more like pretty bad folk indeed. Little did they know. "Never have so many Arctic indicators been brought together in a single paper." And the findings spell trouble for the entire planet." A new research paper by American and European climate scientists focused on Arctic warming published Monday reveals, the "smoking gun" when it comes to changes in the world's northern polar region is rapidly warming air temperatures that are having — and will continue to have — massive and negative impacts across the globe. "Key Indicators of Arctic Climate Change: 1971–2017" is the work of scientists at the International Arctic Research Center at the University of Alaska Fairbanks and the Geological Survey of Denmark and Greenland in Copenhagen (GUES). "The Arctic system is trending away from its 20th century state and into an unprecedented state, with implications not only within but beyond the Arctic." said lead author Jason Box. "Another example is the disruption of the ocean circulation that can further destabilize climate: for example, cooling across northwestern Europe and strengthening of storms."